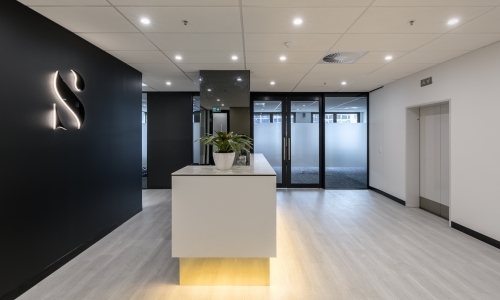 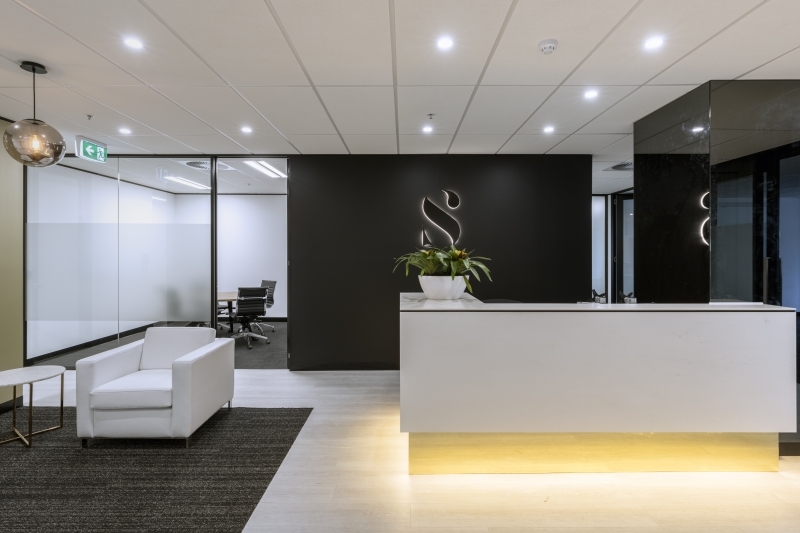 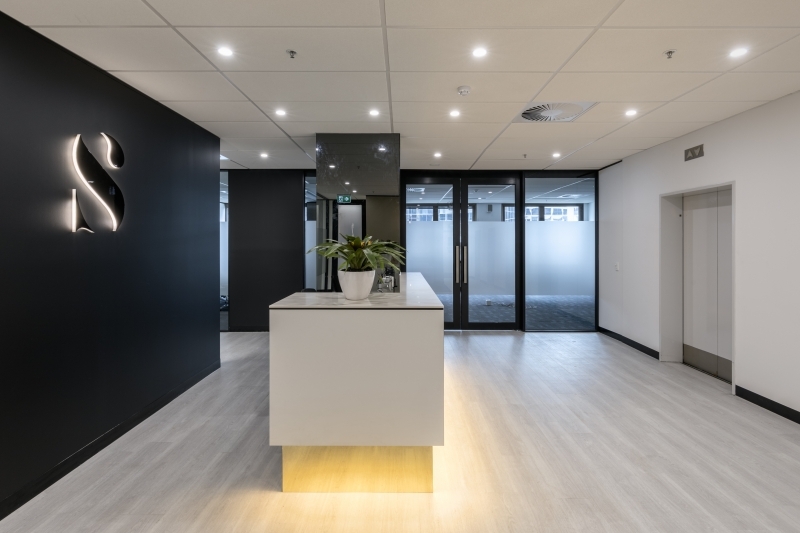 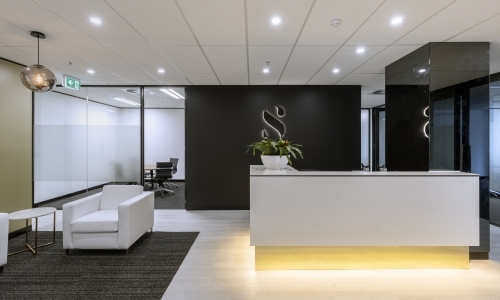 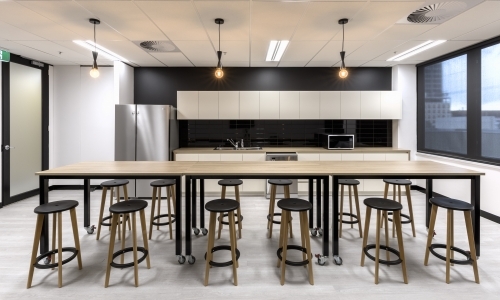 Syracuse’s new office in Melbourne had to reflect their new branding, incorporating bold tones of black, white & accents of gold. 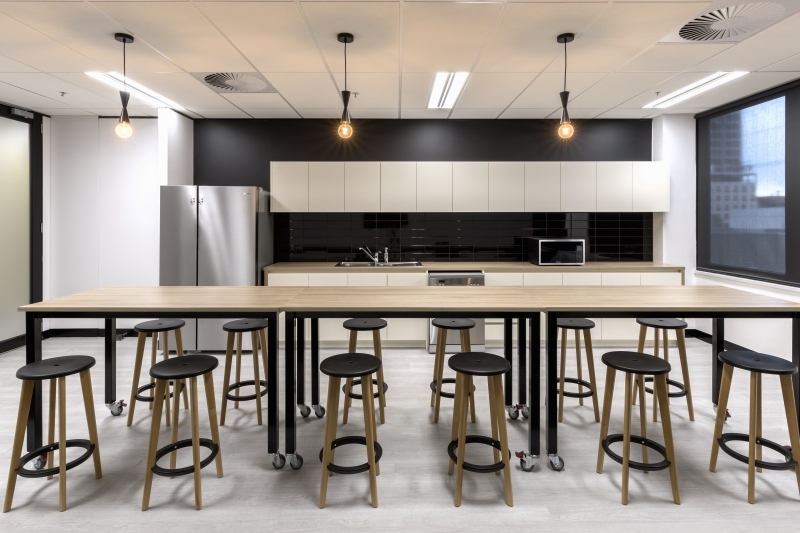 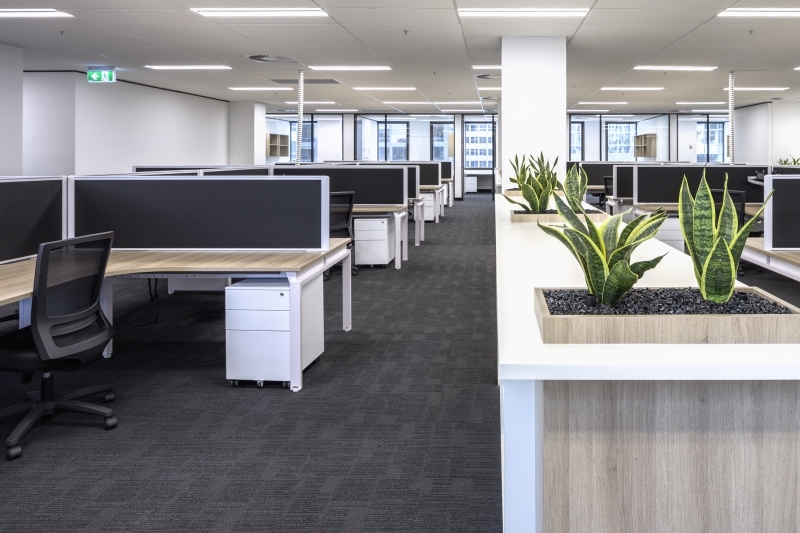 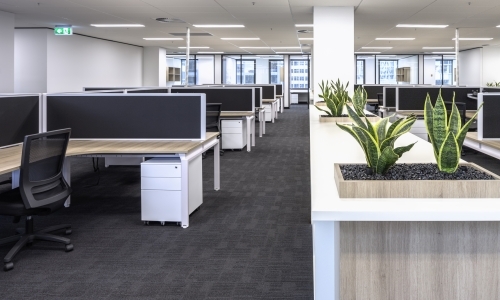 The concept was pared back to emphasising the finishes and textures of surfaces combining seamlessly with the selections of furnishings & graphics, flowing from the reception to the boardroom and meeting area, onto the back of house workstations, offices and breakout area. 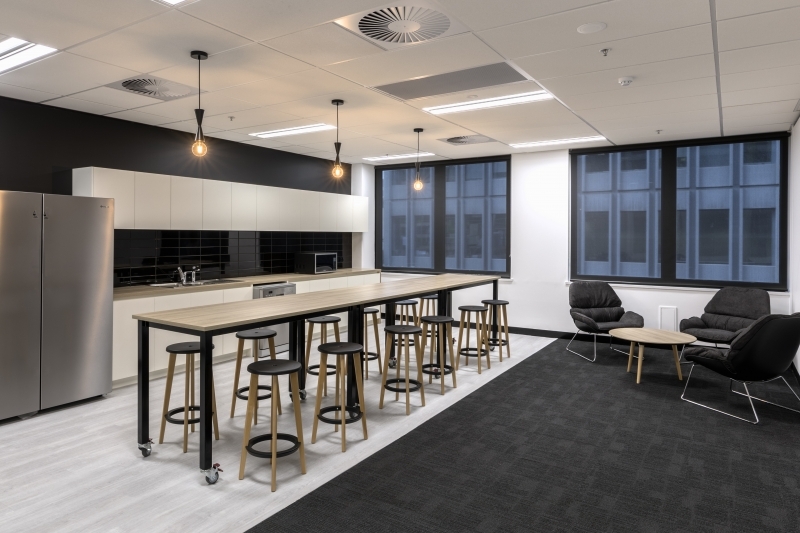 The boardroom and adjacent meeting room which can be opened for large meetings, while the workstations were designed to provide storage as well as dividing the work area into more intimate zones. 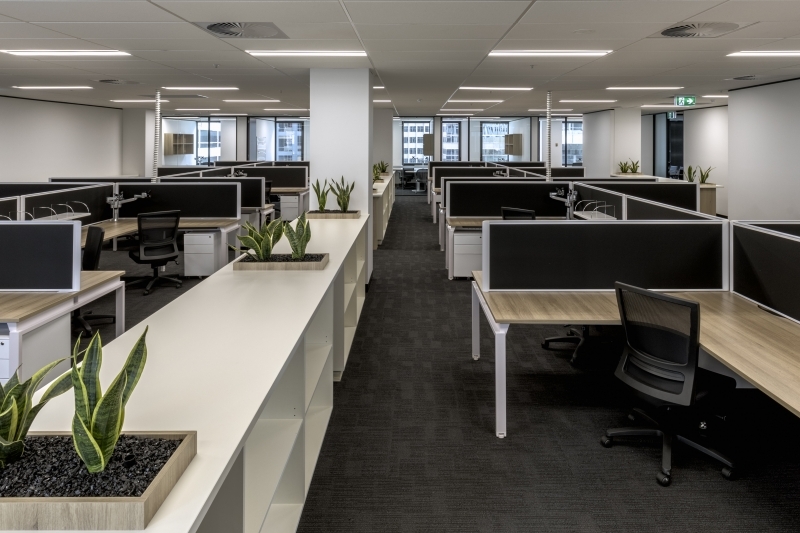 Finally, the spacious breakout area provides an additional meeting space for Town Hall meetings.